3 DAYS PEOPLE, 3 DAYS. I always feel like Christmas sneaks up so fast. Where did the month go?! My grandparents arrive today and then it will really start to feel real. On the agenda for the next few days is a lot of cookie decorating, Hallmark movie watching, and gift wrapping! I'm taking a little break from blogging and looking forward to spending some quality time with my family. I hope everyone has the happiest of holidays! Merry (early) Christmas from my family to yours! 1. Discovered this American made Couture company and I'm in LOVE with everything they create. 2. Thomas Rhett's Marry Me music video just came out! 2. THE TRAILER FOR MAMMA MIA TWO IS OUT. And you need to watch it. 3. This video made me giggle. 4. I love a good love story, especially one that includes country music. 5. Bobby Bone's co-host from his country music radio talk show just brought her kids home from Hatii after FOUR years of trying to adopt them. 6. Did you see Harry and Meghan's engagement photos?! 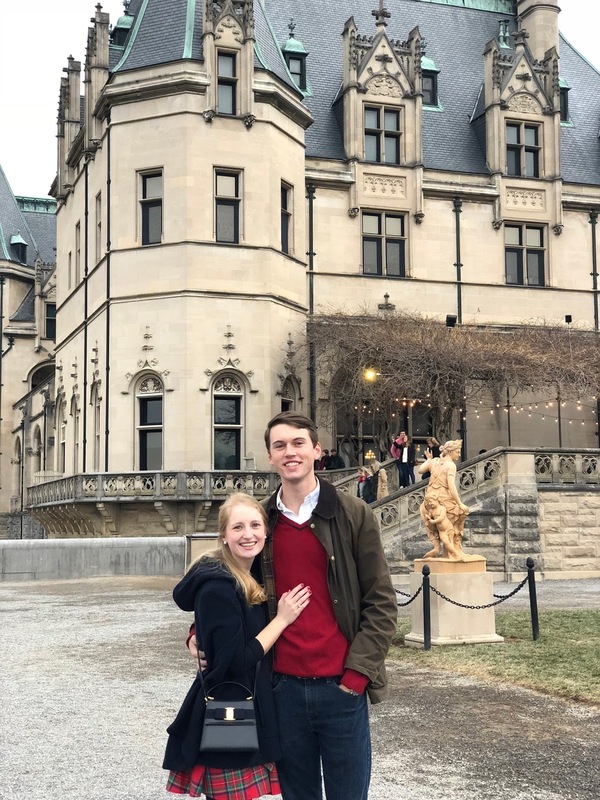 This past weekend I got out of town and went to go visit Emory! I hadn't seen him in over a month and I was so excited to get to spend some time together. I left Raleigh on Friday and got there right after he finished his last exam. He just finished up his first semester of law school so it was exciting to celebrate both of us making it through our first little bit of grad school. 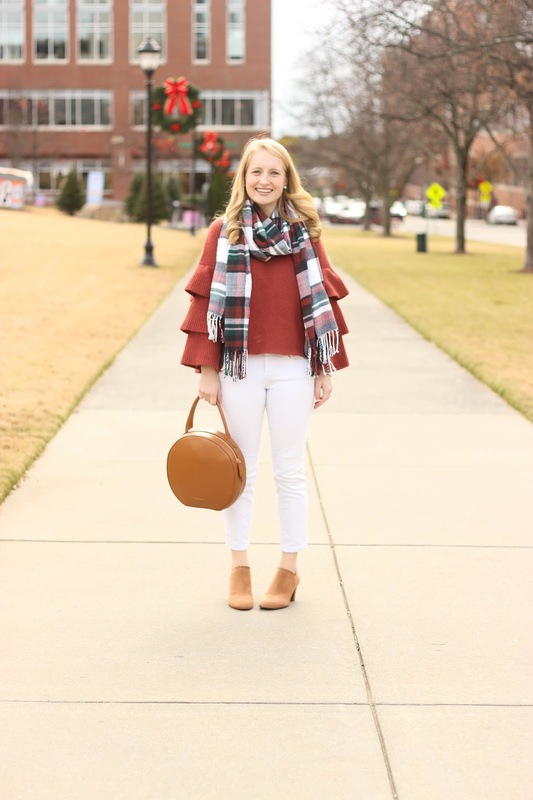 We hung out in Columbia on Friday and Saturday and did a few fun things throughout town. 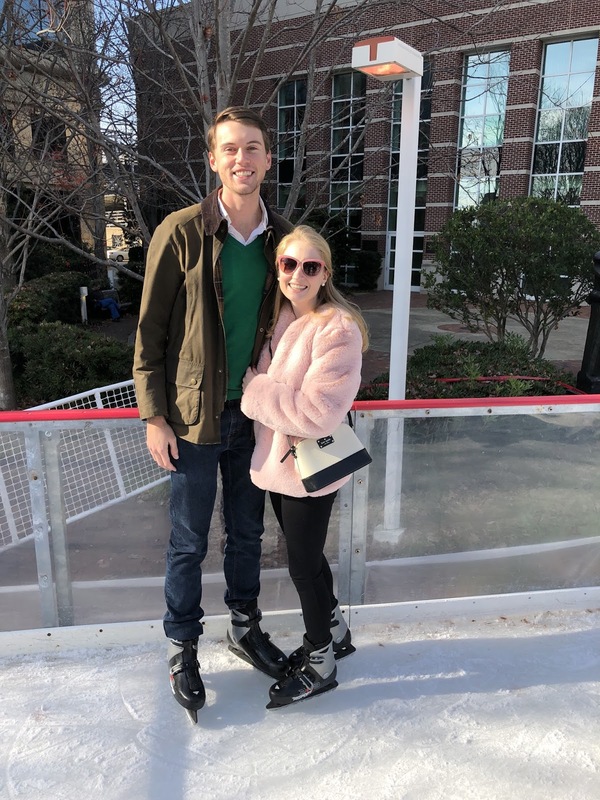 We toured some historic homes for Christmas, watched Christmas movies, went to the farmers market, attempted to ice skate, and saw Miracle on 34th Street. I was so excited to use the excuse of the chilly weather to break out this new pink faux fur coat that I'm obsessed with. It's slightly over the top but SO MUCH FUN to wear. I felt half like a teddy bear and half like a movie star, especially with my pink oversized sunglasses. As a total sidenote, my iPhone 6 has been on the downhill for a while now. It would frequently turn off randomly and freeze up for no reason. I had an upgrade so I decided to get a newer version before my trip as an early Christmas present. I love my big dslr camera and use it frequently but it can be kind of a pain to lug it around. I brought it but ended up not even using it because I was so impressed with my new iPhone X camera! On Sunday morning we made the drive to Asheville. 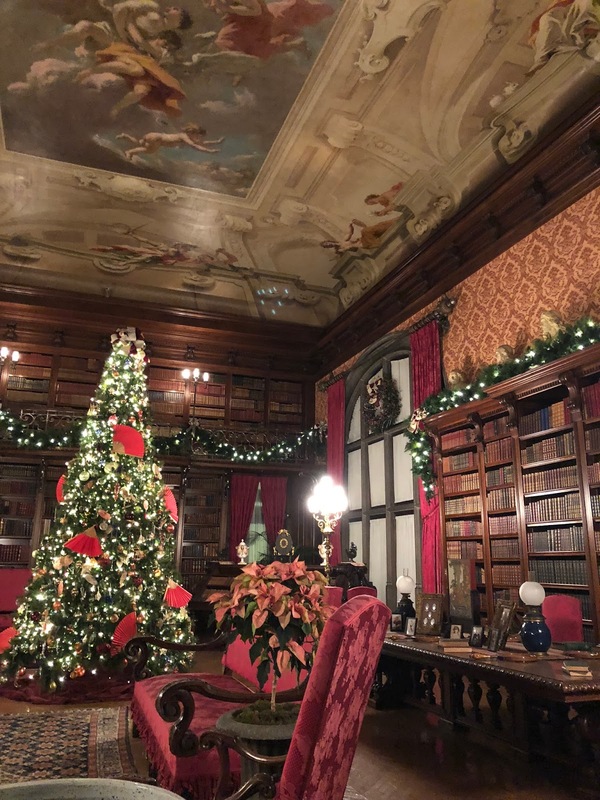 I have always wanted to visit The Biltmore at Christmas and see the gingerbread houses at The Grove Park Inn and my mom totally surprised me by planning this little trip with Emory! It was a dream. The views at The Grove Park Inn are incredible. I was ready to move in. It felt like a cozy winter ski lodge. There was still some snow still on the ground, a warm fire in every fireplace, and more Christmas decorations than you could look at. We wandered around the Inn, ate lunch, and then decided to admire all the amazing gingerbread houses on display. 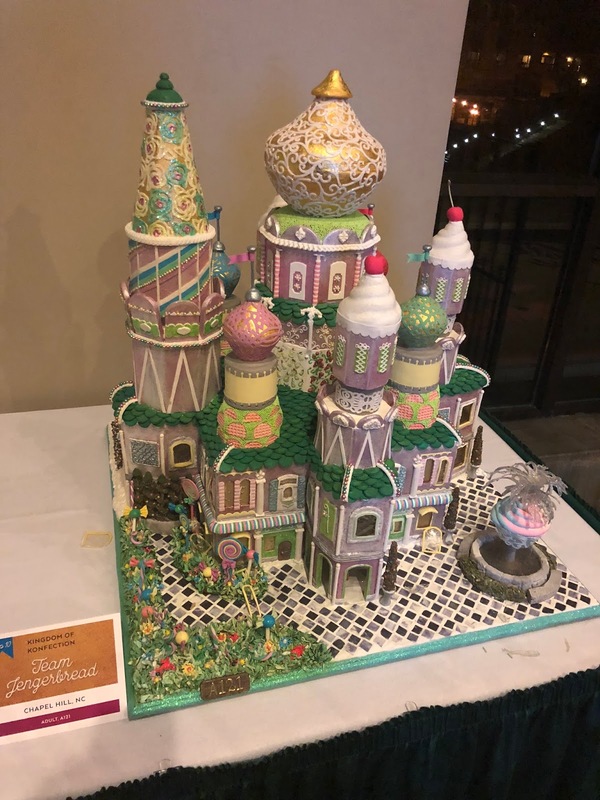 If you're unfamiliar with The Grove Park Inn, the hotel hosts a famous annual gingerbread competition every year. There are entries from all over the country (I even saw one from Canada!) and strict rules that you have to abide by. There are dozens on display. I won't bore you with all my photos of them but I think this one may be my favorite! Later Sunday afternoon we headed over the the country's largest private residence, The Biltmore. 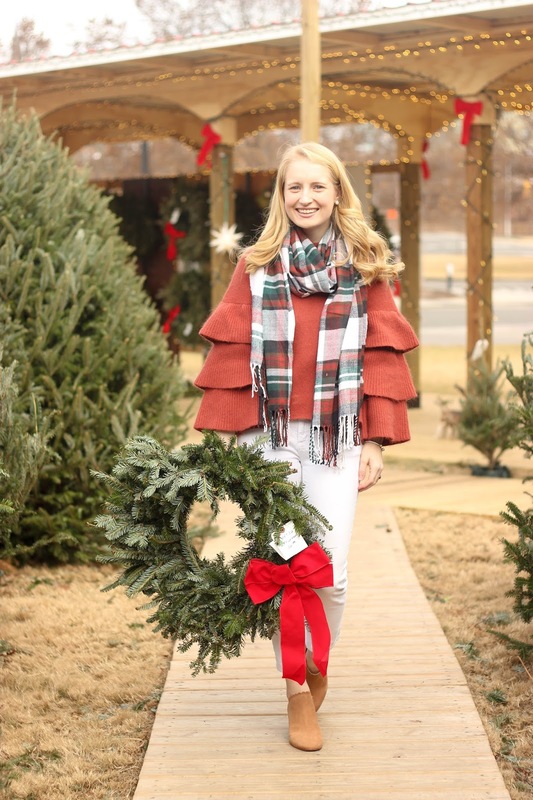 I loved everything about our visit to the home (except for the cold!) 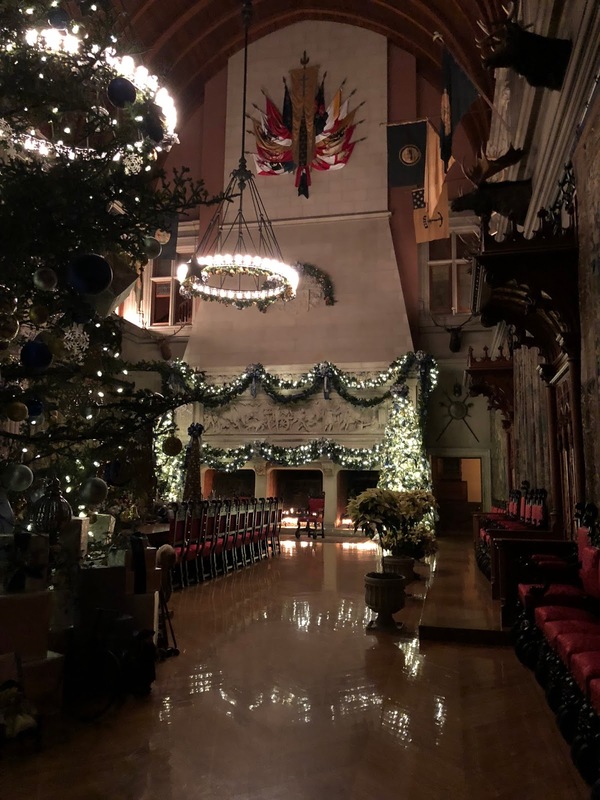 from the Christmas decorations to the rich history of the home. We walked through the gardens, admired the amazing views from the patio, visited the winery (and enjoyed a free wine tatsing! ), and toured the inside of the home. It was the absolute best weekend and I was not ready to leave when Monday morning came. I'm going to continue flipping through the pictures reliving the past few days. 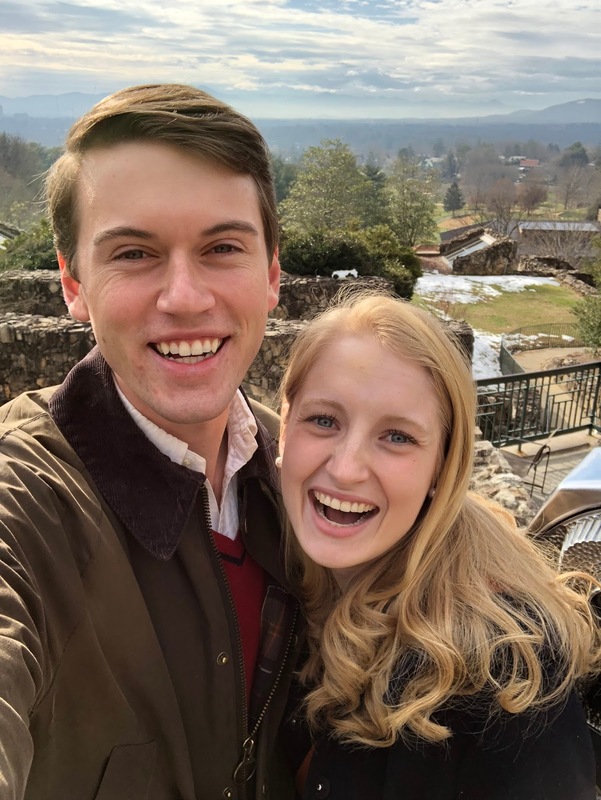 It was such a fun and festive trip and I'm so thankful Emory and I were able to spend a few days together. Okay, now I don't want to toot my own horn or anything but I'm a pretty good gift giver (with the exception of boys...I'm at loss for boys). I try to put a lot of time and thought into my gifts to make them meaningful. I love gifts that can be useful yet still exciting. However, I honestly think my favorite kind of gifts though are experiences that can turn into memories. While a new sweater is great, a ticket to a show or activity is by far my favorite. Address Stamp // So I recently discovered this Etsy shop and I'm obsessed. I haven't yet ordered from it yet, but I love the idea plus they're super affordable! I love the idea of a personalized gift and think these would also be adorable to send to a friend after they move! Hillflint Vintage Sweatshirts // Also one of my favorite small companies. They have dozens of teams and all of their designs are vintage inspired. My brother who is a senior in high school, just decided on Auburn and I think we're going to get him one so he can be game day ready! Function of Beauty // This company originally reached out to me a few months ago to see if I wanted to try their product. They make customized shampoo and conditioner just for you! You take a quiz answering questions about your hair and what you want your shampoo and conditioner to do. I have reordered from them since my first order and truly love what it does for my hair! Getting a gift card to this would be perfect for beauty lovers! Sugarfina Gummies // Such a fun stocking stuffer or a cute small gift to give anyone! Sugarfina is a company based out of LA and they make really festive, fun, and most importantly, yummy gummies. Two really popular flavors are Rosé and Champagne! Plus the packaging is gorgeous and perfect for gifting. Evelyn Henson Map Prints // Obviously I love everything Evelyn Henson. She is an amazing artist and a fellow Furman grad! She has sooo many map prints to choose from and they make such a great gift! GroupOn & Ticketmaster // Like I mentioned, I think my favorite gifts are experiences. The best thing is that you can buy and print out the tickets at the last minute and have a great gift without ever leaving the couch! There are so many fun things you could get, such as tickets to a play, concert tickets, football game tickets, or tickets to an escape room! 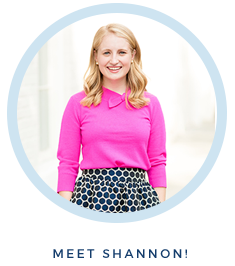 HelloFresh Meals // Perfect for young professionals or recent grads! The last thing I want to do after a long day at school is to make dinner. You can get a gift certificate for people for a few meals and they can pick the meals that are sent to them! I've heard amazing things about how yummy all of their meals are and think it would be such a fun gift to receive. Fujifilm Instax Printer // I love my Instax Printer. You can connect to the printer right from your phone and instantly print out little polaroids. I frequently slip them into thank you notes or letters to friends. They're so fun to pin up on a cork board or add to a fridge! 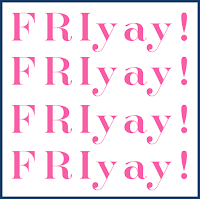 FriYAY! + Where I'm Going This Weekend! Today I'm headed to Columbia to go see Emory!!! I'm so excited! He finishes his finals today and we're going to have a fun-filled weekend full of festive activities. But the activity I'm most excited for is touring The Biltmore in Asheville, NC! My mom surprised me with tickets as an early Christmas present and we're going to drive up to Asheville on Sunday. 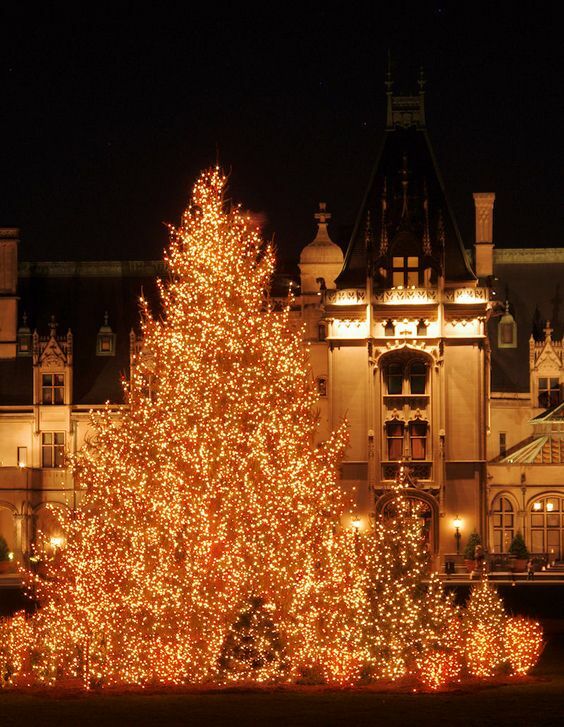 I have always wanted to go to the Biltmore and going at Christmas time is even more exciting! We're also going to the Grove Park Inn where they have the famous gingerbread competition. Don't worry lots pictures to come. 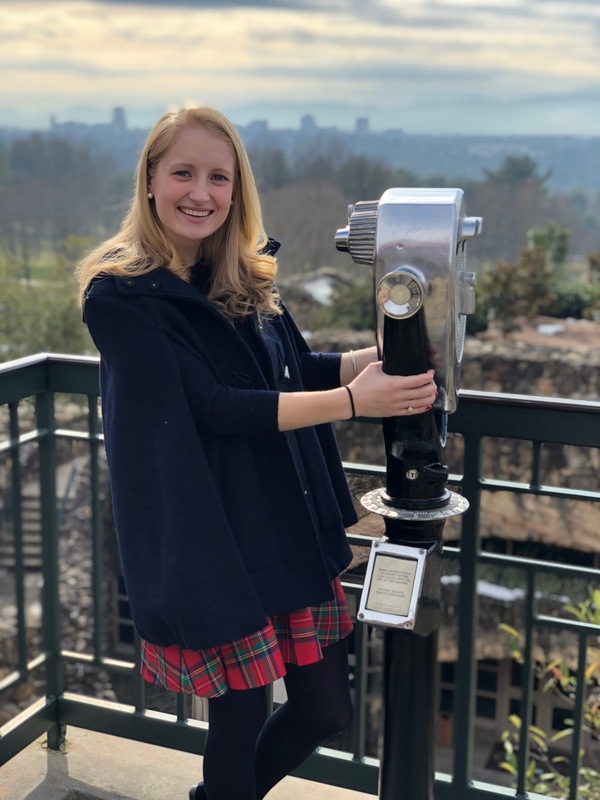 Every Christmas at Furman they have a HUGE raffle for students to win tickets to the Biltmore. Most people who participate win at least once in their four years. Well, most people. Not me of course. It was my dream to win and every single year my numbers were never called. BUT, this is my year! 1. Okay I know I wrote about this last week, but this is seriously my new favorite show. 3. Such a cool college sports tradition. 4. Anyone else have a list of baby names on your phone? Popular baby names to expect in 2018. 5. OBSESSED with the bows on this wedding dress. 6. Did you hear?! The date of the royal wedding has been announced! May 19th! Generally, winter is by far my least favorite season to dress for. I hate having to layer, I hate not being able to wear dresses without tights, and I always miss the bright and playful colors of summer and spring. And on top of that If you know me, you know that I am always cold. However, there is one exception. THE HOLIDAYS. 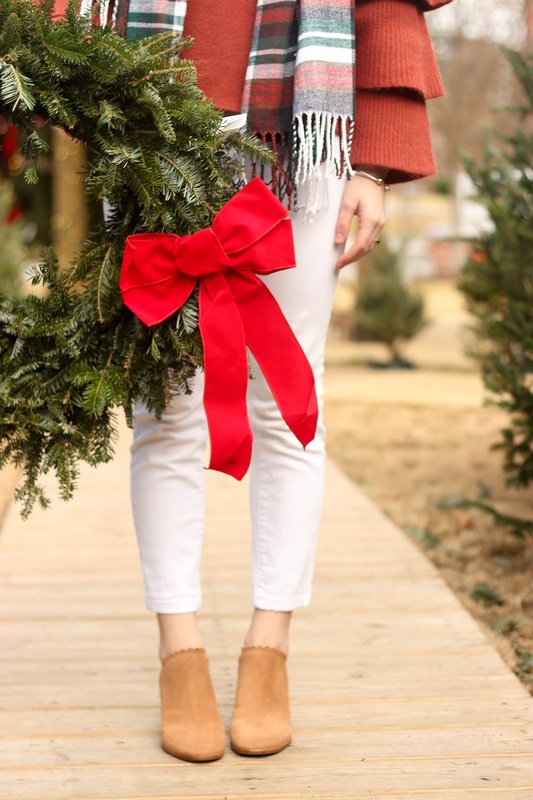 The holidays are the only time it's fun to pull out the sweaters and festive scarfs. 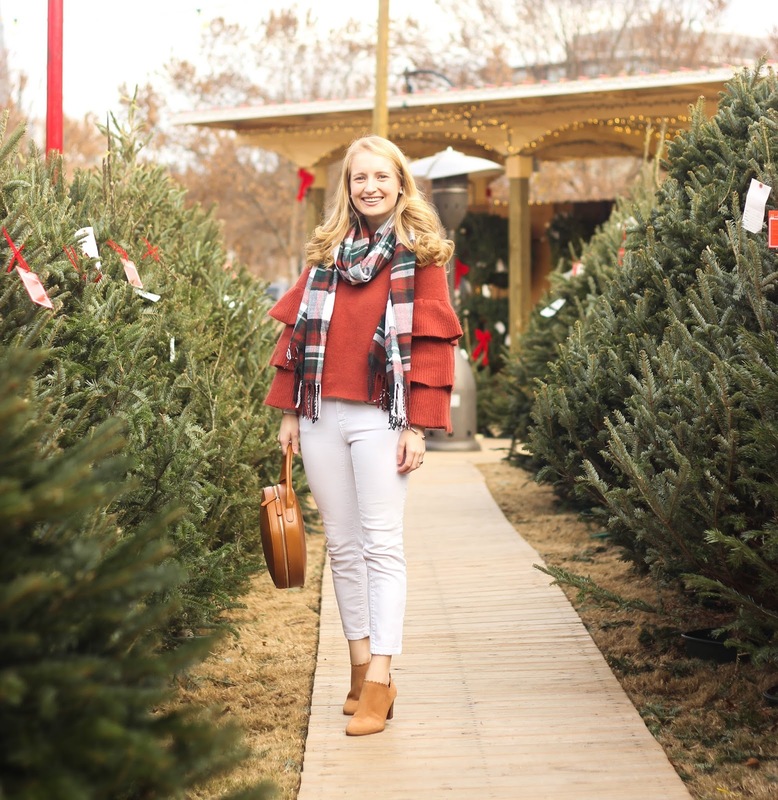 Yesterday I picked out some of my favorite festive picks but today I thought I'd show you a fun festive outfit that I shot while picking out our Christmas tree! 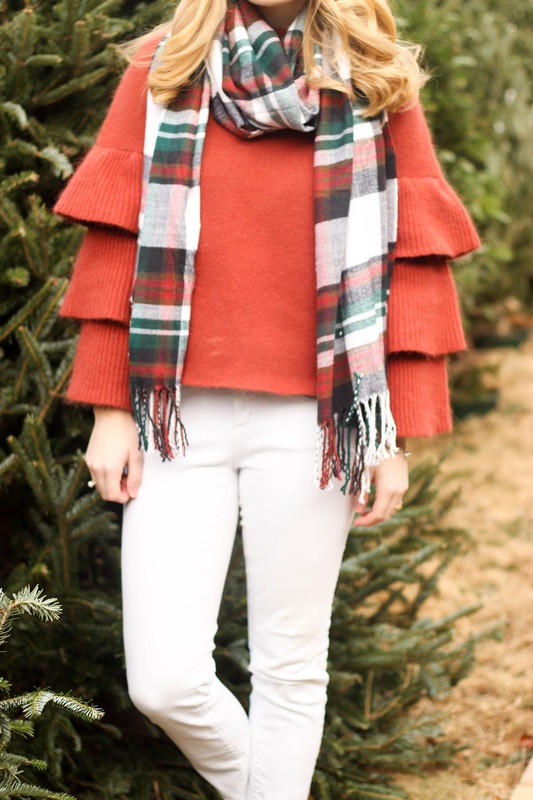 I get so excited every year when I get to pull out all of my red sweaters, plaid scarfs, bow earrings, and festive pjs! 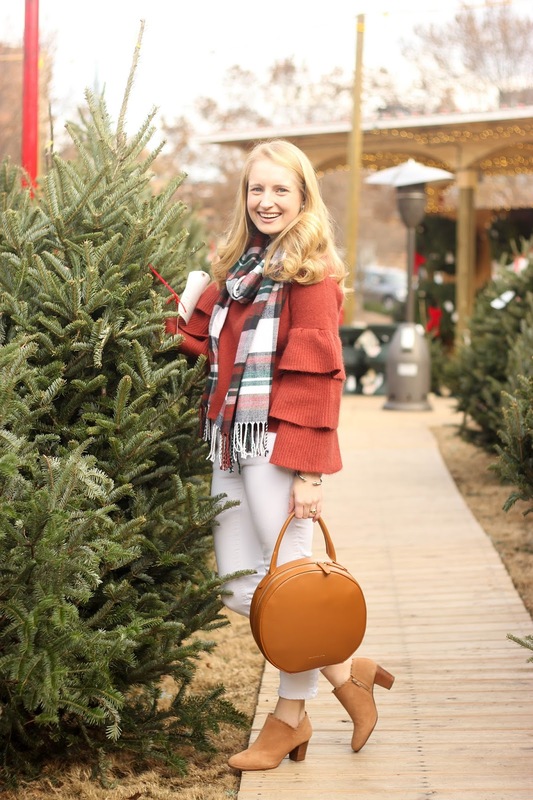 I have a small bin full of holiday pieces and I try to wear as many as I possibly can before the end of the month. It's almost a game to see how many I can wear. You don't get the opportunity to wear your Christmas tree pjs everyday!!! I add a piece or two to my collection every year and then try to plan as many festive events as excuses to wear them all. These are some of my favorite pieces from this year. Obsessed with all of them! 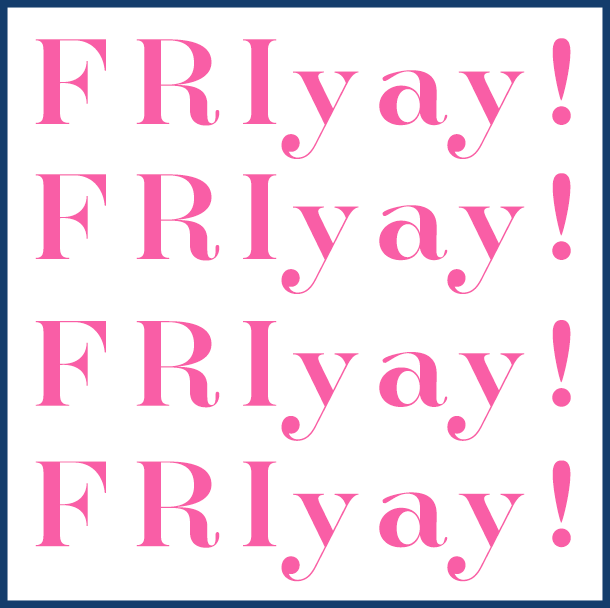 FriYAY! + A Show You Need To Watch!! This weekend my family is headed to the coast for a family friend's wedding! Of course, it's supposed to snow so I'm probably going to freeze in my dress during the outside ceremony but I'm still SO SO SO excited. It will be fun to get all dressed up and see one of my good friend who I grew up with, get married! On a completely different note, you NEED to watch this show. I saw an Instagram ad for it and looked up the trailer and was so excited to find out that it was written and produced by Amy Sherman Palladino and her husband, the pair created and wrote the first 6 seasons of Gilmore Girls (aka my all time favorite show). It has the same quick wit as Gilmore Girls but set in the 50s in New York City. My mom and I watched the pilot last night and we're already hooked. Here's the trailer if you're interested. 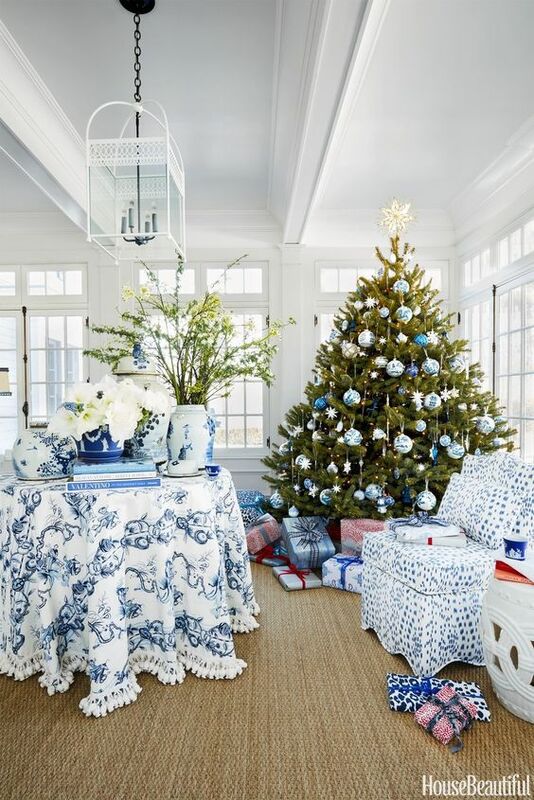 Love this blue and white Christmas! 2. How sweet is this story?! 8. Have you tried this new vial challenge? 1. This was added to my Christmas list this week. 2. I ordered these shoes on cyber Monday and they finally came (I would size 1/2 a size down)! 4. 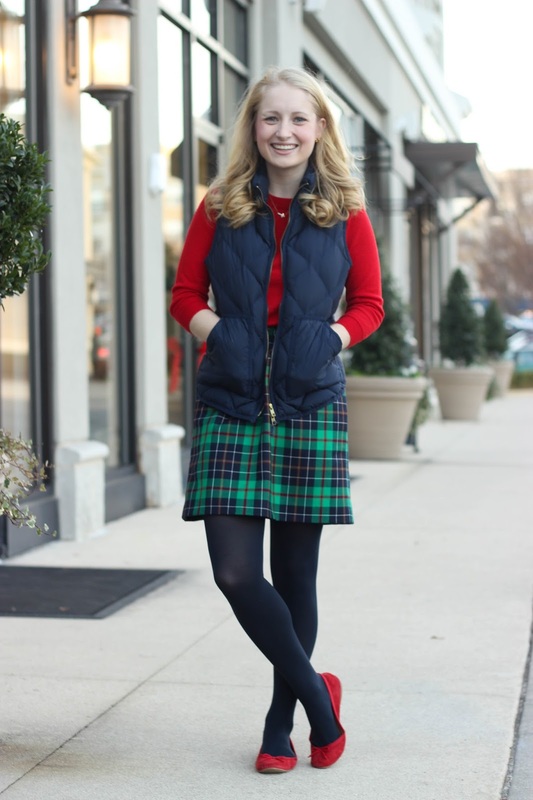 If you need a New Year's Dress... I would pick this one!